Maybe you immerse in a mikveh and dress in white linen, with a jeweled breastplate and a hem of bells and pomegranates. You go to the Holy Tent and stand at the altar that you have already pre-treated with fragrant oil. You stand there and wait until God calls. Then you stand a bit taller and receive the message. These are all reasonable plans for God-seekers. All of these models are represented in our literature, in our Torah, sometimes in the same story, sometimes in the same word. For instance, the word vayikra – the first word of the book of Torah called Vayikra, or in English (less felicitously) Leviticus. This is the word that opens this week's Torah portion. Vayikra means "and [God] called". Specifically God is calling Moshe from the Tent of Meeting. But there is something strange about this particular instance of calling, embodied in the strange way it is written in Torah. It is an orthographic anomaly. The letter aleph that ends the word is written half-size, hanging from the top line, like an exponent, or a footnote marker. The word is vayikra, but there's something half-hearted about the shrimpy aleph at the end. As if Torah is not 100% certain whether it means to commit to it or not. Rashi, our great Medieval French commentator, points out that with the aleph, the word comes from the root qara’, meaning "to call". Without the aleph, the word comes from the root qarah, meaning "to happen." Rashi notes that this word, without the aleph, pronounced vayikar, is used when God addresses the non-Israelite prophet, Bil'am. In Numbers 23:4, it says vayikar Elohim et Bil'am vayyomer... "And God happened upon Bil'am and said..."
The difference between God calling you and God happening upon you, stumbling upon you, is huge, and it hangs in the balance of that pint-sized aleph. Rashi explains in a typical Jewish triumphal way that Moshe was the great prophet of the Children of Israel; so he gets a call. Bil'am, who wasn't an Israelite and who in fact was considered by the rabbis of antiquity to be a sort of anti-Moses, was not given that courtesy. God just shows up unannounced. But I think Rashi falls short here, because the tension between our communication with the Divine being a call and it being happenstance is a tension we all feel. We all seek God. Sometimes we do the prescribed things. We recite prayers set out by our ancestors. We come to synagogue and we sway and sing. Or we sit for hours in meditation or twirl like dervishes. And doing those things we sometimes feel the touch of the Divine. And sometimes we don't. Often we don't experience anything like God until we stop trying so hard. Our desire to know God, to touch God, is as old as our species. But the problem of God being hidden from us is just as old. 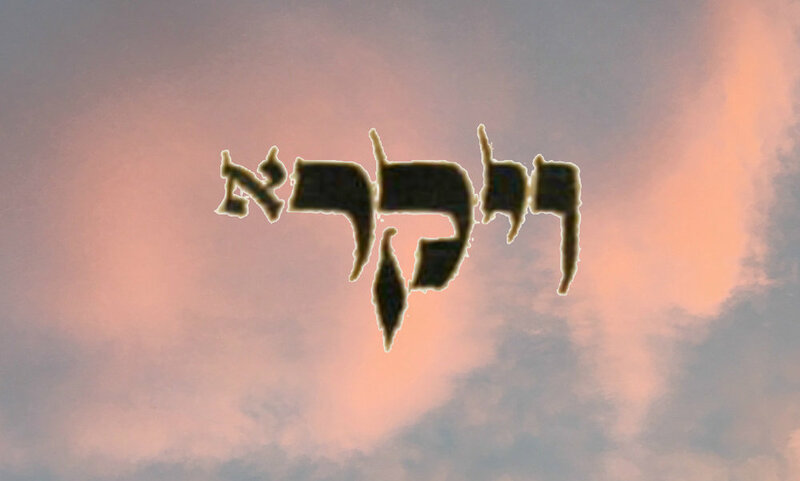 The Zohar (1:103b) says that those of us who live below, here on this earth, look up to find God. We say "Your glory is above the heavens." (Psalms 113:4). And the heavenly beings – including sun, moon and stars, also searching – look down and say, "Your glory is over all the earth." (Psalms 57:12). Each constituency, the earthly and the heavenly, look to the other location for God, because they have been unable to quite capture God where they are. Both constituencies look toward each other’s realms and search and search until they join in the words of Ezekiel the prophet, saying Baruch k'vod Adonai mim'komo:­ "blessed is God's majesty –– wherever God is." (Ezekiel 3:12). The 15th Century Libyan rabbi Shimon Lavi, known as the Ketem Paz, talks more about this passage from tthe Zohar. He suggests that the orbits of the stars in the heavens are in fact their divine search pattern; they orbit looking for God! And, he suggests, the search is enough; they are content in the search even if they don’t achieve the result. As his prooftext he points to Song of Songs, where we read, "I must arise and roam the town, through streets and squares; I must seek the one I love. I have sought him but found him not." (Song of Songs 3:2). Rabbi Lavi goes on to explain, "The woman [narrating Song of Songs] says that even though she has sought and not found her beloved, she will maintain her search, not desisting from her quest. For he is her life. And so it is with the celestial beings. The quest sustains them, even though full attainment is not reached.... [And so we] must rest content with [our limited] knowledge [of God]. Umah la'asot – what else can we do?" Poets talk about searching for God, trying so hard to be close to the Divine. And they talk about being rewarded with the Divine presence only when they give up the search and surrender to happenstance. Meaning something like: "I sought your presence; with all my heart I called and called for you. And when I stopped calling and stepped out toward you then I found you turning toward me." Totally by accident. Actually, we bumped into him. You might be trying to scale the heavens, but it won't be how you planned. Whatever path you set out on, it will happen on a bend in the road. Stand at the Holy Tent in your white tunic, hemmed in bells and pomegranates. Recite the words you have learned. Go to the woods and call out. Trace a Hebrew letter on the back of your hand. Speak names of angels and ancestors. Look in the eyes of a beloved. Ask God how to find God. Offer up your yearning on an altar of surrender. Umah la'asot – what else can we do? My teacher, Rabbi Elliot Ginsburg, is the translator of the Ketem Paz passage. He also brought the Zohar passage to my attention and made me read the Kosman poem. Much gratitude always.